To be more specific, I have skin-trimming problems and tail-clip-keeping problems. And sometimes I have skin glue problems, which often go hand-in-hand with skin sticking problems. It’s not like I don’t try to take care of my skins. I make sure I dry them in between uses. I try to avoid skinning over non-snow surfaces (here’s looking at you, a**hole alder bushes). I keep them as clean as I can, which, as anyone with a dog can attest to, is nigh on impossible. I only put them on my skis the night before use when I have an extra early dawn patrol planned. I’ve even learned, after one very disastrous occasion in college, to wait until after I cut a new pair of skins to crack a beer. 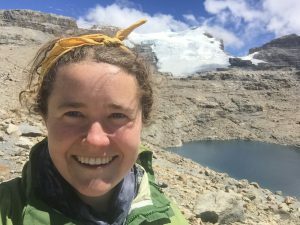 Nonetheless, climbing skins are always the most troublesome piece of gear in my winter arsenal.The last pair of skins I owned started falling apart after only six months of use – six months of summer use. As in, not much use at all. Luckily, the day I finally lost the nose clip on those skins, the G3 Scala LTs came to the rescue like the white knights they are. I had a slim window in which to trim these skins, as I needed a functional pair for work as a cat-skiing guide by the following morning. Needless to say, I was ecstatic when the skin cutting experience proved to be the best I’ve ever had. The Scala LTs are stiffer than most skins I’ve owned, making them easy to position and trim in one go. 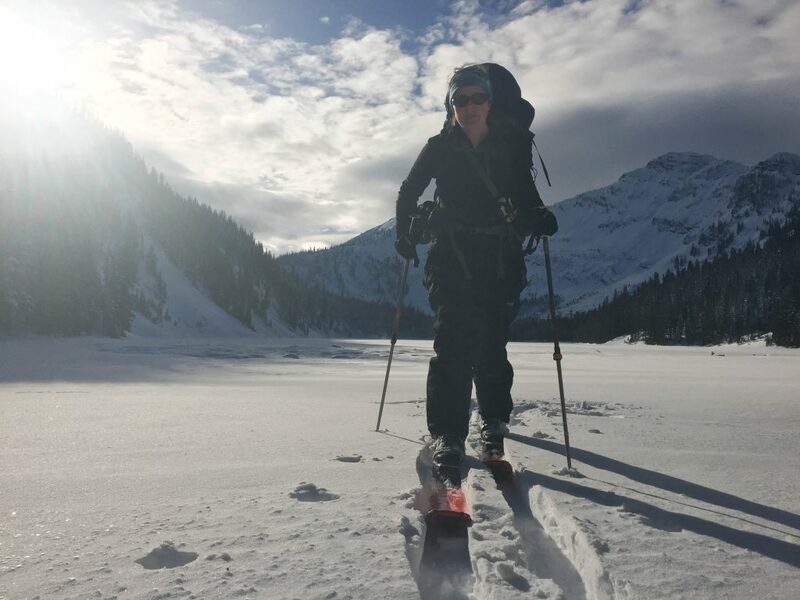 G3’s inclusion of a well-designed skin cutting tool was also helpful, allowing me to fit the skins perfectly to my skis and still make it to bed before 9 p.m. 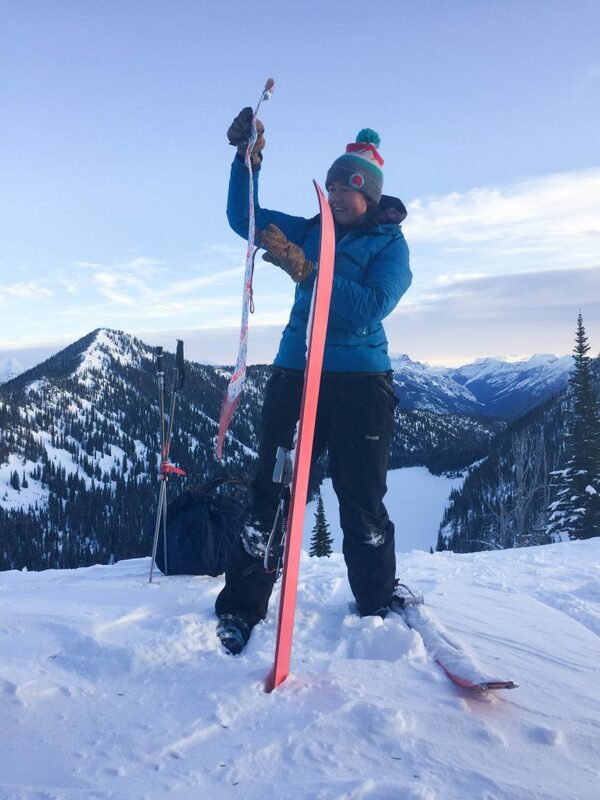 The stiffness that enabled such easy trimming also made applying them to my skis hassle-free – no fiddling around with lining up the edges and centering the nose and tail clips. I also found this made the skis easy to rip. 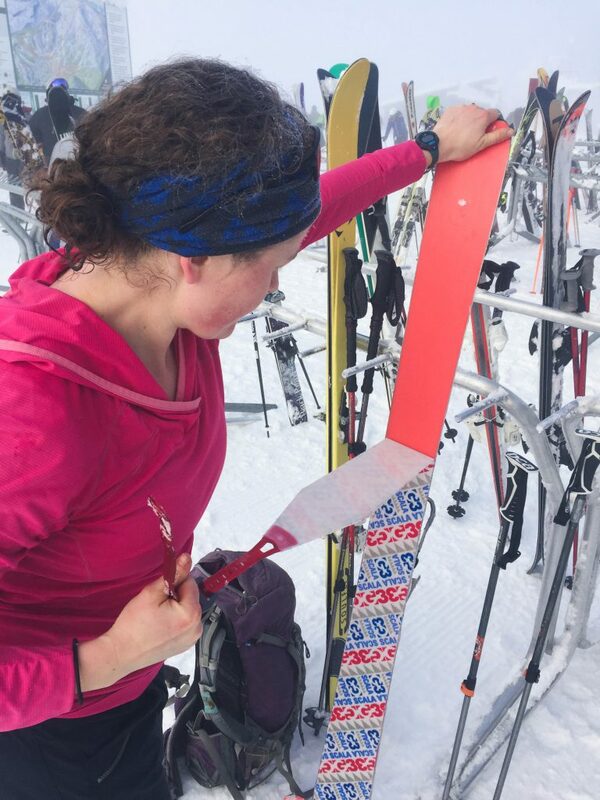 I’ve really appreciated this feature in the field, where taking time to make sure my skins are centered on the ski bases can sometimes mean snowy skin glue or slow transition times at the local ski-mo race league. And the best part? 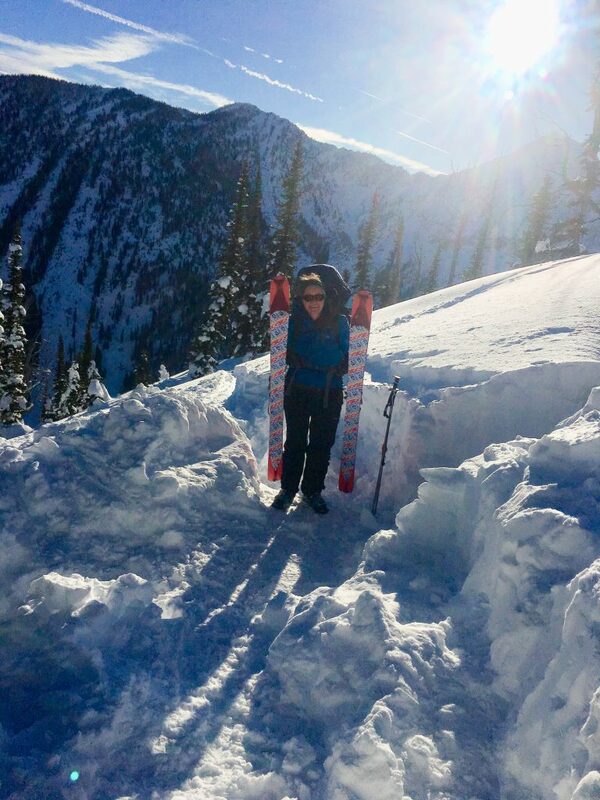 The Scala LTs hang tight on my skis even on the meanest of sidehills. I credit this to the unique design of the skin’s tip. Most skins I’ve used become problematic when snow starts to creep in between them and the ski base at the tip, which inevitably causes the rest of the skin to un-attach and ruin a perfectly good uphill. 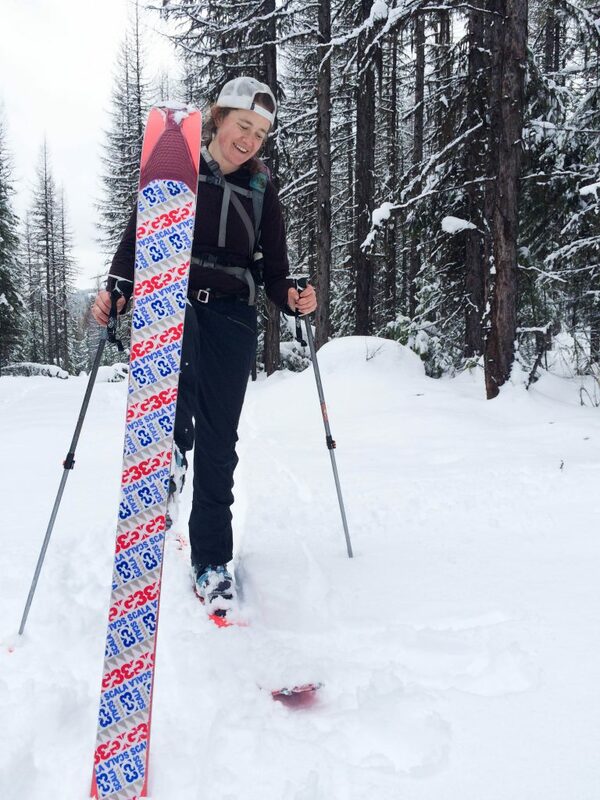 The LTs, however, have a scaled urethane tip that accounts for the way the rockered tip of my skis slides through the snow. 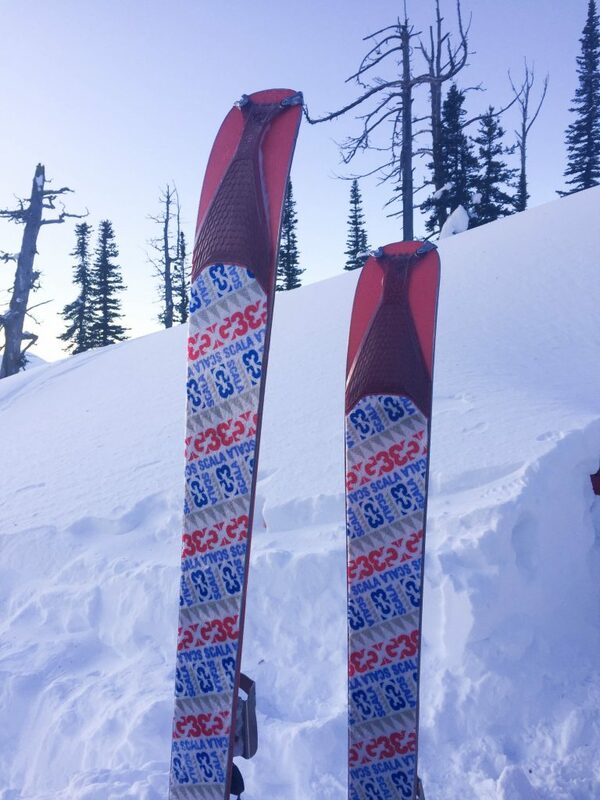 Thanks to the two-point tip clips, the urethane hugs the ski base and sheds the snow before it can interfere with the glue. Meanwhile, the cammed tail clips keep things together in the rear. 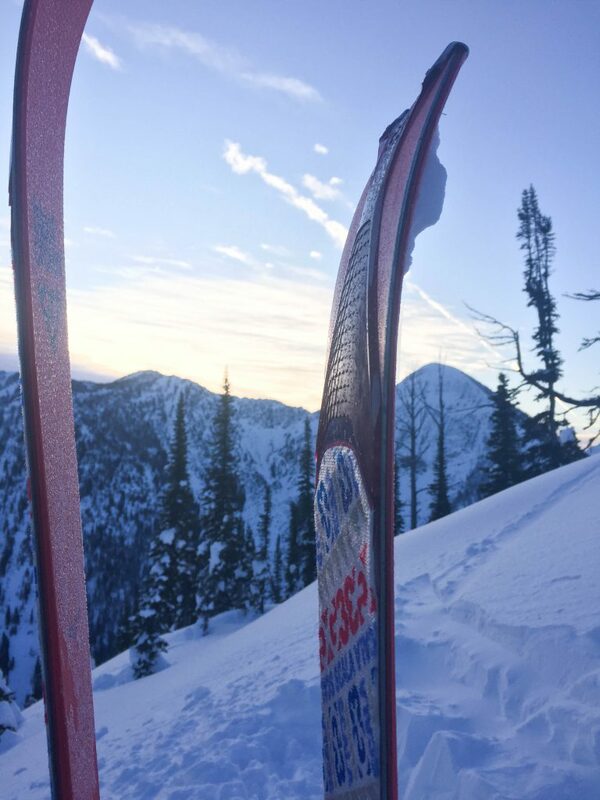 The urethane attaches to the nylon skin material just beyond the rockered tip of my skis, providing an ample kick zone. I’ve waffled between mohair and nylon skins for years, but using the Scala LTs made me finally realize that I’d gladly give up the glide of mohair for the extra grip nylon provides, even in icy, post-mixed-precipitation-event conditions. I may have to sacrifice a bit of speed on the flats and downhills, but that’s worth it to know the Scala LT’s have my back on every too-steep switchback out there. The urethane tip keeps snow from creeping under the skin and ruining the glue’s stick. 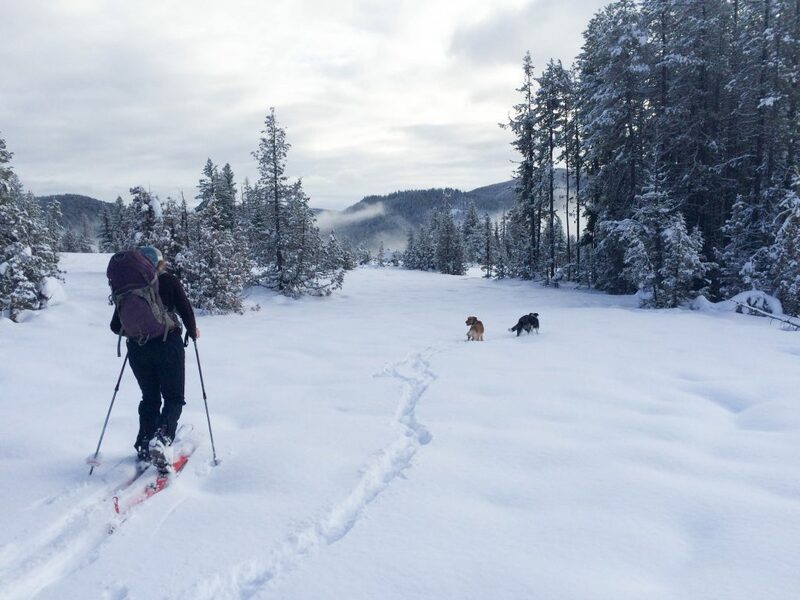 The nylon material helps skins grip, even up steeper pitches on variable snow conditions. The skins don’t glide as well as other skins. 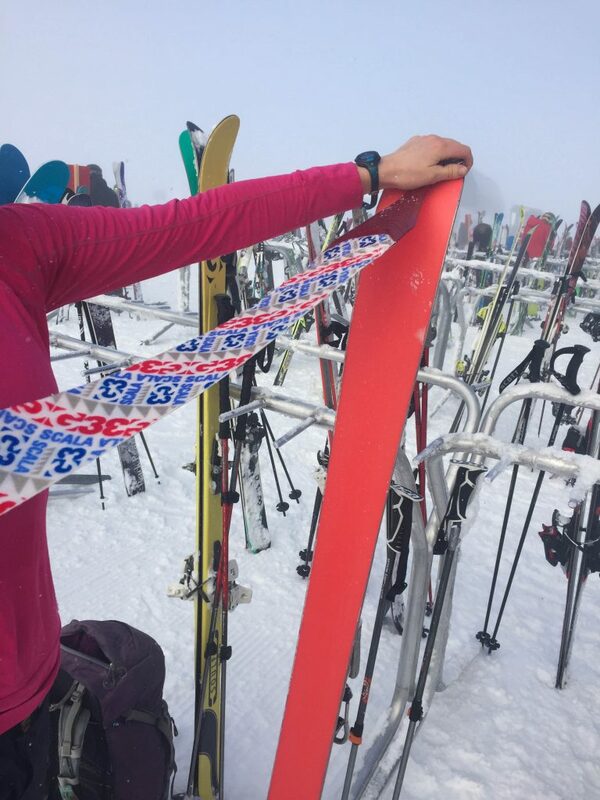 I was minorly annoyed by the extra long tail flapping around on the tops of my skis. Shop G3 and the Scala LT Climbing Skins on Outdoor Prolink. Not a member? Apply today! Have you used the G3 Scala LT skins? Comment below, or share your experience by tagging #DirtbagDreams!